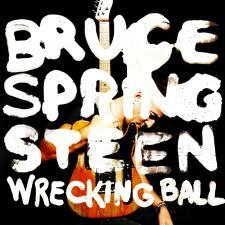 Baugh's Blog: CD Review: Bruce Springsteen's "Wrecking Ball"
Wrecking Ball is Bruce Springsteen’s 17th studio album. 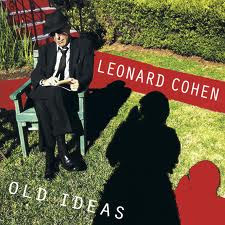 Released here in North America three weeks ago (March 5th), it is his first album since 2009’s Working on a Dream. In its first week of release it hit #1 in the albums charts in the U.S. and the U.K. I picked it up just a few days before leaving on our March Break holiday in Florida. I thought it would be appropriate to have a couple of typically American albums to listen to in our rented car down there – so I took this and Ry Cooder’s latest album, Pull Up Some Dust and Sit Down. Guess which one I preferred? Wrecking Ball was produced by Ron Aniello, with assistance from Springsteen. Aniello is a successful pop producer who has worked with a couple of dozen other pop acts, including Springsteen's wife, Patti Scialfa. He co-produced Scialfa’s 2007 album Play It As it Lays. 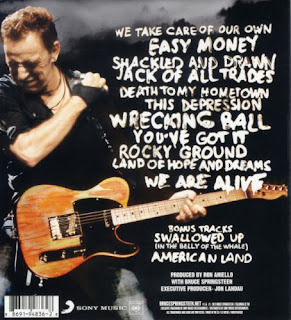 In Wrecking Ball, Springsteen presents a collection of songs primarily about the economic troubles besetting the American working-class during this latest recession. He also lays into the rampant greed and corruption of the economic elite - the Wall Street bankers and industry leaders identified these days as the 1%. He explores the devastation their greed has wrought. Most of the songs were written last year (2011), but three of them were written earlier and have been performed live over the intervening years. The title track, “Wrecking Ball” was written in 2009 prior to a series of shows the E Street Band did at Giants Stadium in East Rutherford, New Jersey. It is a tribute to a stadium built in 1976 (which hosted games by the New York Giants and the New York Jets), and demolished in 2010. 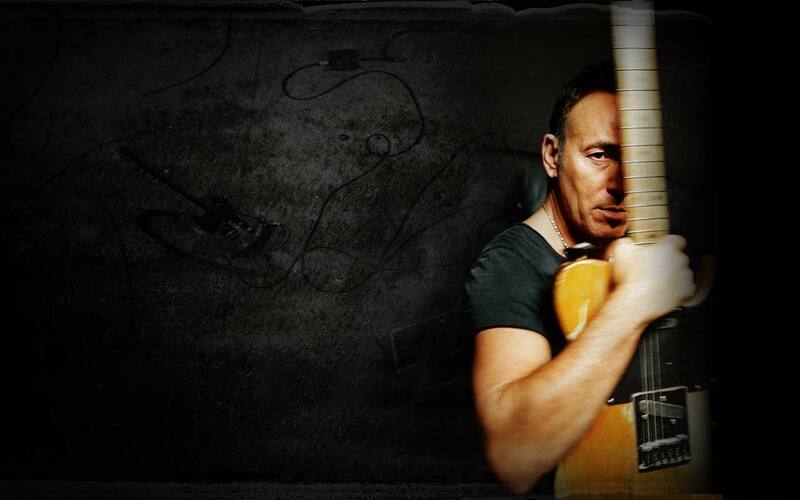 “American Land”, one of two bonus tracks on the extended edition, was written when Springsteen was working on the 2006 Seeger Sessions. It shows the folk influence. A studio version was recorded back then, but never released. “Land of Hope and Dreams” was written in late 1998 and performed during the E Street Band’s reunion tour in 1999. Wrecking Ball is one of those curious albums which sound less interesting the more you hear them. And I have been listening to it a lot. If the adage “less is more” means anything to you, musically, then this work is a good example of its corollary - “more is less.” Springsteen’s rock ‘n’ roll has often come over-dressed in a dense wall-of-sound wash. Combined with lyrics that are often preachy and tendentious, the result can be overwrought and bombastic. On this album the production does the songs no favours; and there are some good songs here, but they suffer from similar, murky, over-the-top arrangements. It makes the music dull and lifeless. The strategy is generally the same throughout: begin with a laid-back, interesting couple of verses, where individual instruments can be heard; then, in the middle and again at the end, crank up the production into overdrive – guitars, keyboards, electronics, strings, horns and choir belting out a repetitive riff in which there is no space for individual elements to be heard or appreciated. The New York Chamber Consort (a sixteen-piece chamber ensemble) plays on three of the tracks, for example; but it’s difficult to hear much of what they’re playing. And five or six musicians are credited with playing horn-parts; frustratingly, their work too is buried in the mix. Tellingly, four of the songs here feature loops extracted from other recordings (folk and gospel) - and even the loops are hard to hear, buried as well in the murky mix. So many opportunities lost. On the dirge-like “Jack Of All Trades”, for example, a horn section is added to the middle of the song. They sound a bit like a Salvation Army band, or an English colliery’s brass band. Featured up front, it would have sounded great, but they’re hiding in the mix. A tin whistle playing a riff through “Death to My Hometown” is also buried. Strangely, when an instrument is featured and placed front-and-centre – like Tom Morello’s guitar in “Jack Of All Trades” and “This Depression” (both solos are given special mention in the album’s booklet) - the results, really, are damp squibs. Some of the arrangements, too, seem strangely at odds with the words: “Easy Money” and “Shackled and Drawn” are both downbeat lyrics, but they’re hammered out in perky productions that present them as upbeat sing-alongs; and “Death to my Hometown”, with words like a Michael Moore rant put to music (think Roger and Me), sounds like a perky sea shanty. Perhaps the problem is the dominance given to percussion – these tracks invariably feature drums-on-steroids. Combined with other electronic percussive effects, it sounds just too heavy on the beat to my ears. The most interesting track here is the experimental one, “Rocky Ground” – the one production that’s different from the rest. There is a strong gospel tinge to much of the album, although the choir-like vocals are often just unison voices added as another element to the dense mix. In “Rocky Ground”, there is a kind of hip-hop/gospel blend, with Michelle Moore providing a brief rap. There are horns again in the mix, this time used more effectively. “There’s a new day coming”, Springsteen sings here, and it’s one of the more affecting moments in the album. 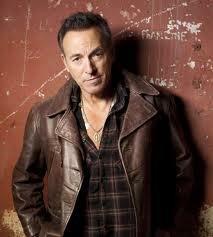 “Land of Hope and Dreams”, near the close of the album, attempts a kind of epic-statement that Springsteen is keen on. The track is notable for containing Clarence Clemons’ last work with Springsteen. The E Street Band’s sax player died in June, 2011. (Springsteen provides a written tribute to Clemons in the accompanying booklet). He plays a couple of typical solos in the middle and end of the track. The song is an extended train metaphor; the words sound trite and familiar: “This train carries saints and sinners; this train carries losers and winners; this train carries whores and gamblers …” Get on board. Take the ride. 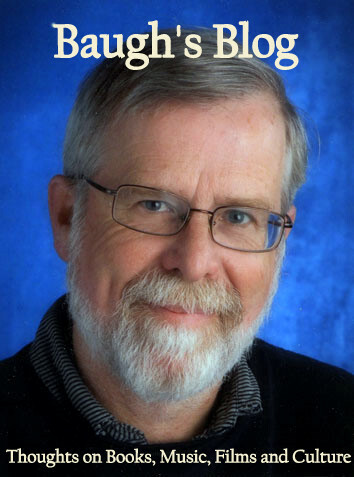 Etc., etc. What it comes down to, for me, I think, is that Springsteen too often sounds inauthentic. He’s striking a pose; making a statement; pushing a message. And even though I have no quarrel with the message, I don’t want to hear it declaimed like it’s preaching. Otherwise, it becomes pretentious. Effective when delivered live in concert at a huge sports arena - and he's a superb live performer - but ostentatious in the context of a rock ‘n’ roll recording. Springsteen fans will probably love this album. If you’re not always convinced that Bruce is the Boss, however, you might find your response more ambivalent – like mine. Oh ... and the Ry Cooder? Stay tuned! Reading your review Clive reminds me that sometimes I should find the time more often, to stop and listen to music properly. So much music/sound I hear is often in passing or in the background to something else I might be doing. You have obviously listened very carefully to this album, the producer will be out to get your guts for garters I should think, but you, have,listened to it. From your analysis, it appears to suffer from over production. I'll have a word with my mate Laurie. He might know Springsteen. If he does I'll get him to have a word for you. Ha! Ha!